After exactly 30 years away from the public eye, Nissan has brought one of its most iconic motorsport machines back to life. 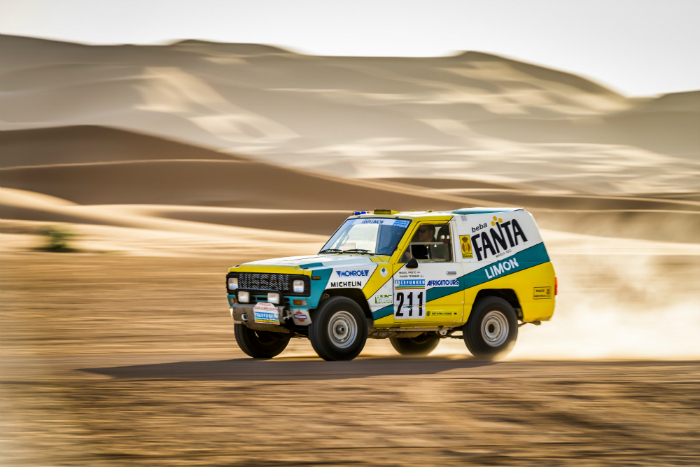 The 1987 Nissan Patrol Fanta Limon Paris-Dakar rally car has been fully restored to its former glory, and made a return to its ‘spiritual home’, in the sand dunes of the Saharan desert. 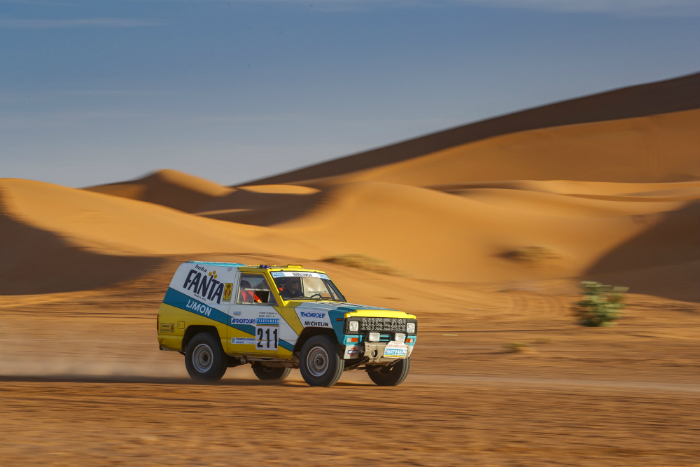 The car’s wrote its very own chapter in Dakar mythology; taking victory in the diesel category, and being the first diesel car to ever finish in the race’s overall top 10, taking ninth spot. 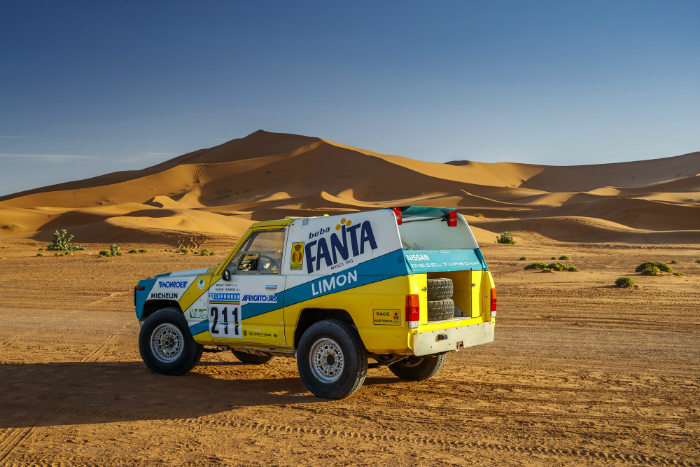 The Fanta Limon car has been given a new lease of life thanks to a dedicated team of engineers at Nissan’s European Technical Centre (NTCE) in Barcelona, Spain. 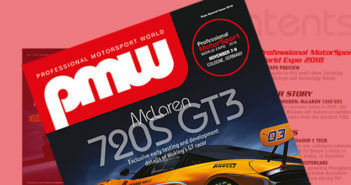 For more than two years they restored the car after work and at weekends, turning it from a rusting wreck in a Spanish museum to a highly capable off-road racer. 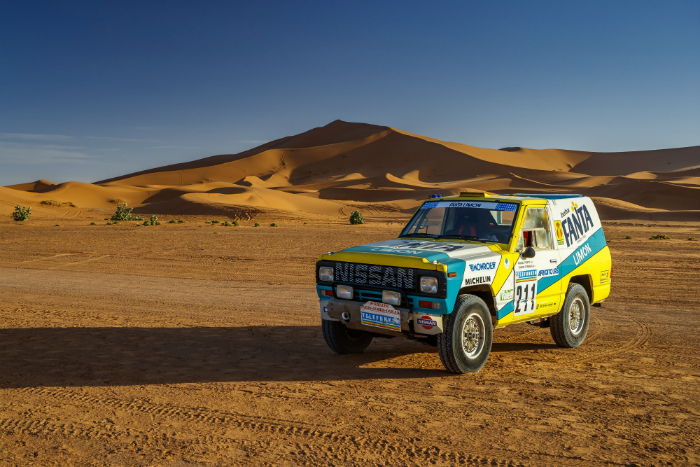 The story of the car’s participation in the 1987 Paris-Dakar rally starts the year before, when Nissan Motorsport devised a plan to take part in high-profile off-road endurance rallies. The base vehicle was to be the Patrol, with the team at NTCE in Spain leading the project. The sponsorship with Fanta Limon came through links between Nissan Spain and drinks brand Coca-Cola, which was looking to exploit the global publicity generated by the Paris-Dakar race. Success came quickly, with victories in the diesel class in three events during 1986. (Tunis Rally, Baja Aragón, and Raid Pharaons). 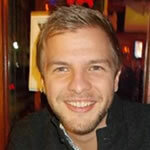 But the main target was the Paris-Dakar. It began on 1 January 1987, with 312 vehicles lining up at the start of the 13,000km race through Europe, Algeria, Niger, Mali, Mauritania and Senegal. 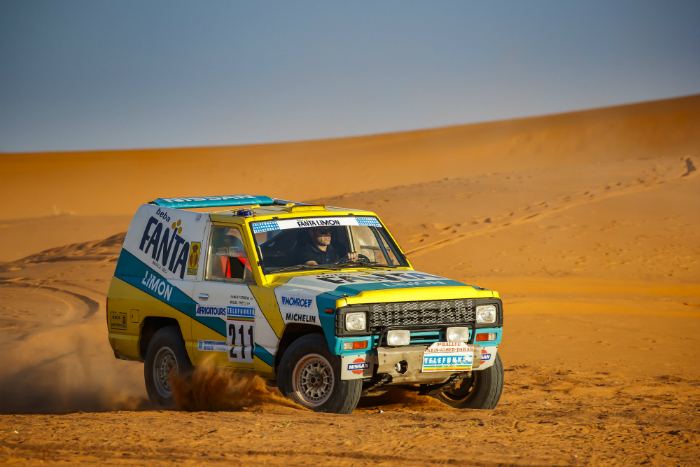 The Nissan Fanta Limon team entered two vehicles; car 211 with Miguel Prieto and Ramon Termens as driver and co-driver respectively, and car 212, crewed by brothers Jorge and Hansi Babler. Things did not run smoothly. The team’s support truck broke down on the second stage, leaving the pair without spares for the rest of the race. Car 212 was eventually forced to withdraw after rolling down a dune, but 211 battled on to the end. It was the first diesel to finish, in ninth place overall. Mission accomplished, the cars were retired from racing. The whereabouts of 212 is unknown, but 211 was offered to the Salvador Claret, a private car collection and automotive museum south of Girona, Spain. There it remained for almost three decades. The idea of recovering the car came in February 2014, when NTCE technicians spotted images of it on an internet forum. Realising the 30th anniversary was less than three years away, they contacted the museum to ask for it back. The wreck was transported to NTCE Barcelona in May 2014 and the eight-strong restoration team began work, using their own time at evenings and weekends. They searched all over Europe for parts, asking Nissan dealers to search their warehouses for old stock. Some components were bought used and also restored. In November 2016 the Patrol was complete and made a return to its spiritual home – the sand dunes of the Sahara. It was an amazing moment for the team. The restoration’s cost has been covered by Nissan as part of its ‘Performance Innovation’ fund. It’s a pot of money set aside each year for projects which bring the company’s brand promise – ‘Innovation That Excites’ – to life.